I honestly don’t even think I need any words with this week’s Want it on Wednesday. If you follow my blog regularly and know my style and likes, then I think the name of this dress alone says it all. Pom Pom Flippy Dress. Yes please Topshop. As you would expect, this dress is embellished with not only pom poms, but sequins, in a beautiful mix of greens, blues and orange. 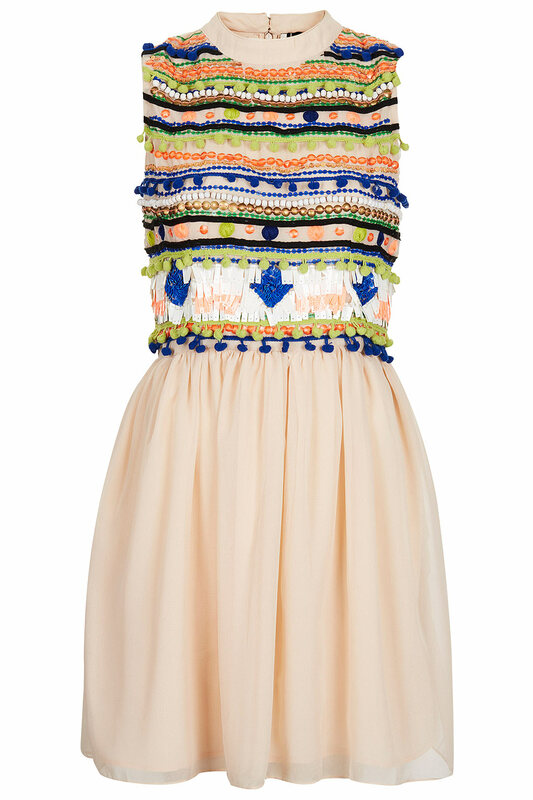 As Topshop rightly classified, this would make an amazing festival dress. Until it rained or was ruined by the mud. I’m now single-handedly determined to bring pom poms back. Yes siree. "The 5 Items You Need to Buy in the My Wardrobe Sale"
"Want it on Wednesday: Warehouse Binary Floral Maxi Dress"
stop finding stuff I should hate but actually love dammit.